Driving these improvements in public safety has been the law enforcement communities’ proactive adoption of new technologies – using social media as a tool for community engagement or body cameras to address officer accountability. 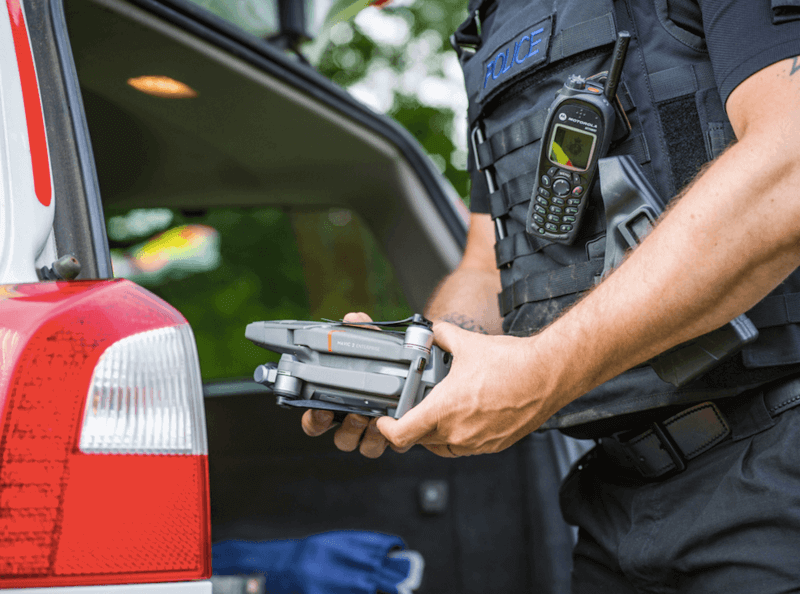 While much of these new technologies are dedicated to addressing structural challenges law enforcement teams face, they often fail to mitigate the risks and issues officers face while on-site. Social media and body cameras can improve public perception of officers but won’t help end a standoff in a peaceful manner – an officer still needs to risk his life while taking actions. A new category of technology is being implemented to address these immediate challenges by giving officers superhuman capabilities, and we’re not talking about science fiction. Today, officers are turning to drones to expand their capabilities, to tackle regular operational challenges with aerial tools that provide better means of getting the job done – whether that’s assessing a situation while remaining at a safe distance from harm’s way, triggering a de-escalation or even operating in situations previously impossible. Leading this wave in providing law enforcement officers with superhuman capabilities through drone technology is DJI, providing platforms of the future for a new generation of industrial professionals. DJI’s new Mavic 2 Enterprise is the ultimate expression of how drones are providing officers with superhuman capabilities, as an array of innovative features and the ability to be rapidly deployed redefines how a drone can be used by law enforcement. The extension of an officer’s capabilities through the Mavic 2 Enterprise begins with improved sight. While remaining far from danger an officer can pilot the drone and view a situation from any angle. A 2x optical, 3x digital dynamic zoom camera and a new Discreet Mode let officers fly unnoticed while assessing a situation. While most drones are limited to providing officers an extra pair of eyes in the sky, the Mavic 2 Enterprise features an entirely new extended port that gives officers a new suite of “superpowers”. 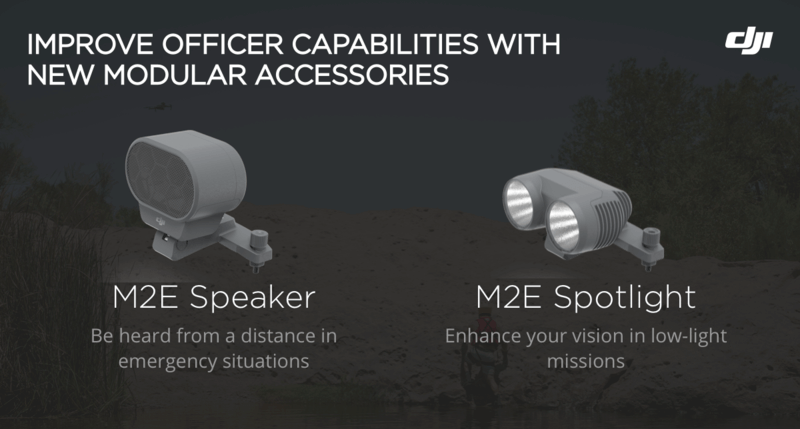 The M2E Spotlight lets officers find missing persons in darkness while the M2E Loudspeaker helps communicate with vulnerable people in need of rescue or de-escalate conflicts. New modular accessories quickly attach on to the Mavic 2 Enterprise to extend an officer’s sight or voice. To assist officers in effectively integrating drones into their operations, the Mavic 2 Enterprise has included several new data management features that improve the security and impact of drone data. 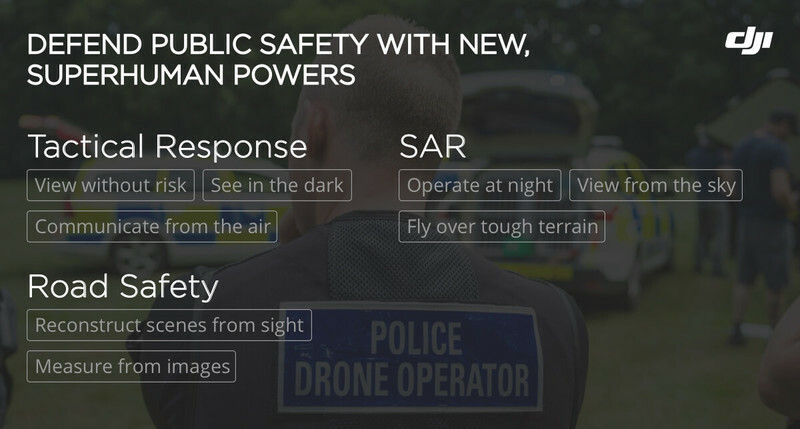 A new Timestamp feature that, when activated, adds the location and time information onto each photo or video captured by the drone, lets officers more easily submit drone media as evidence. Additionally, access to the drone and its onboard data storage is protected by a unique password set up by the department. Password protection can be used to ensure these aerial tools are used appropriately and that personally identifying intel doesn’t get into the wrong hands. The Mavic 2 Enterprise extends officer’s capabilities while being small enough to fit in a glove box or hang on a utility belt. 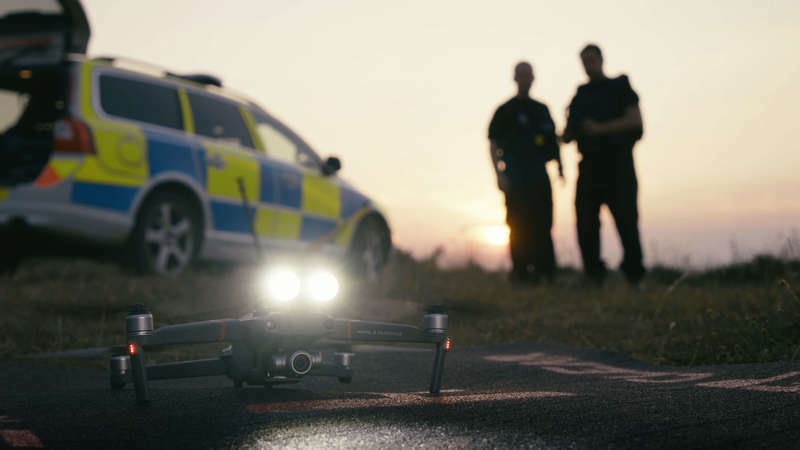 Devon & Cornwall and Dorset Police Departments have deployed the Mavic 2 Enterprise to improve their operations. Download the case study to learn how they put it to the test. While the Mavic 2 Enterprise is built to enable law enforcement officers to succeed with securing public safety, departments need to take a serious look at their drone program as they scale it out. How will departments ensure drones are being used properly? What are the best deployment tactics? How should departments manage the data and educate their communities on the benefits of this new technology? Despite official guidelines on implementing a drone program being years away, best practices can be learned from those who are already deploying drones on a daily basis. To help put together these learnings, DJI partnered with the Center for Digital Government (CDG) and Government Technology to learn from leading local and state government users and compiled these findings in The Day of the Drone is Here: Effectively Deploying Unmanned Aerial Technology in State and Local Government.